Hooray for LEGO Week!!! Yesterday we shared several really fun LEGO activities from our LEGO week team and today we have a few more! You can check out all of the ideas that have been shared so far on our 2nd annual LEGO Week landing page. We are getting excited for Mother's Day and are always behind with sending gifts... especially in the mail. We thought we'd make some LEGO DUPLO printed photo Mother's Day cards for some of the favorite moms in our life (if you are one of them please stop reading now!). 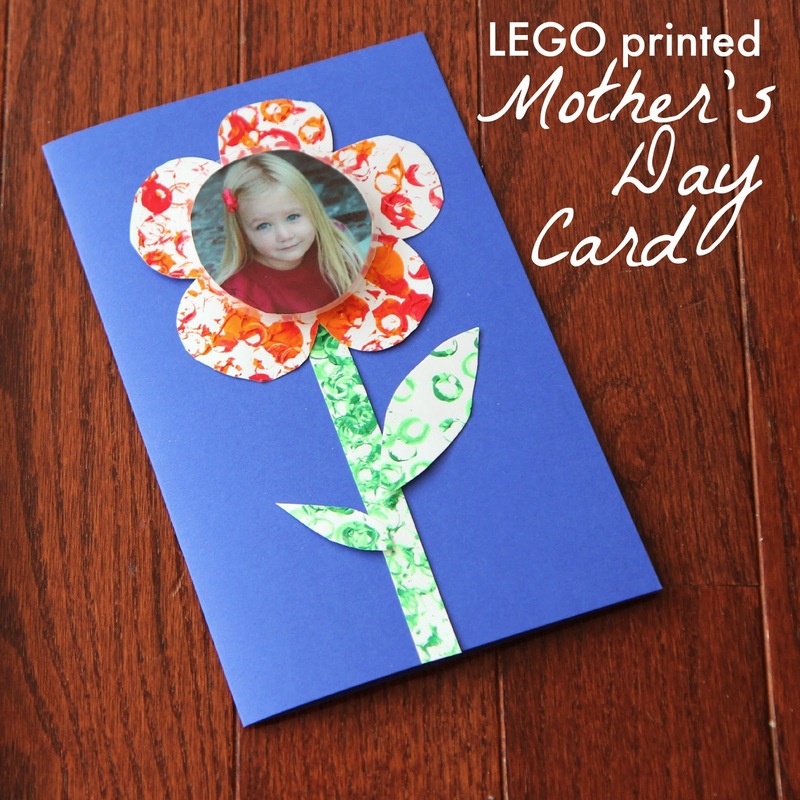 Our LEGO printed Mother's Day cards are actually easy and really fun to make! They can be given to other favorite people as well. Here are the supplies you'll need to make our LEGO printed Mother's Day cards! Start by building some LEGO stamps using LEGO Duplo bricks. 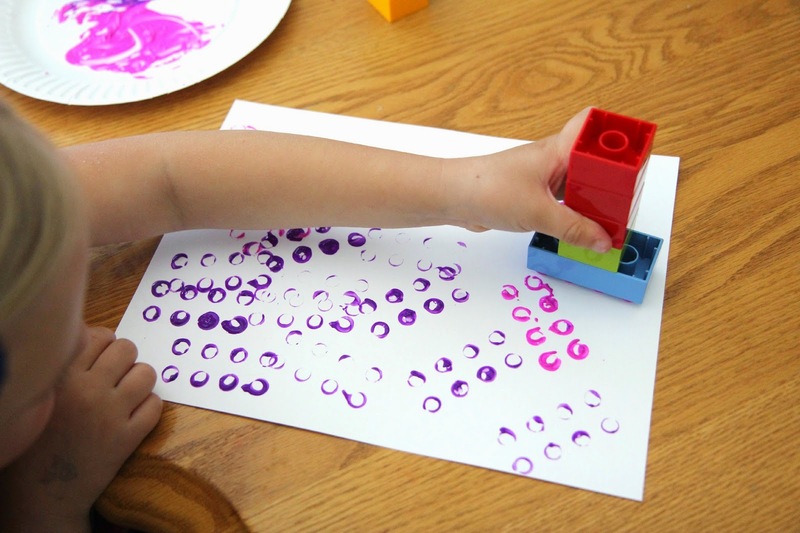 We used a long piece to stamp with and then added a handle using square LEGO DUPLO pieces so that it was easy to use. You could easily use smaller LEGO pieces with this as well. Make sure to print on several pieces of paper. Have one paper that is all variations of green and then use a variety of colors for the other papers. Once you are done printing, let the painted papers dry. 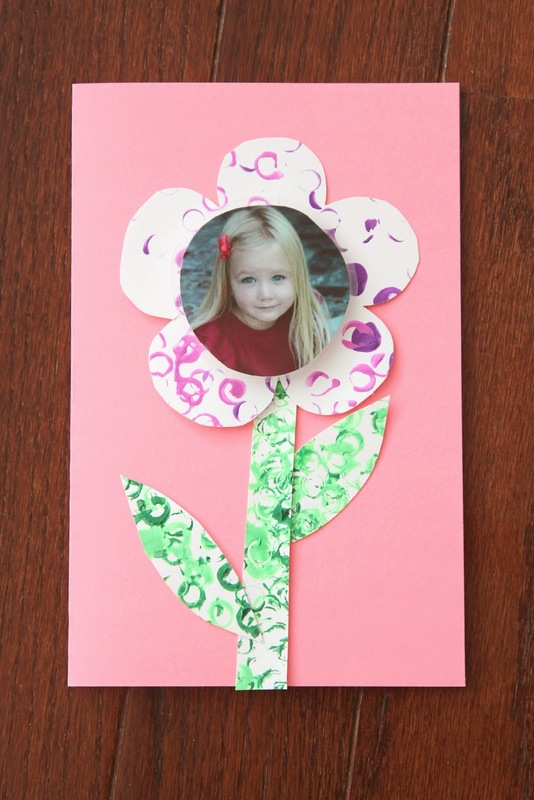 Once they are dry, cut the green printed paper into strips and leaves (to make flower stems and leaves). 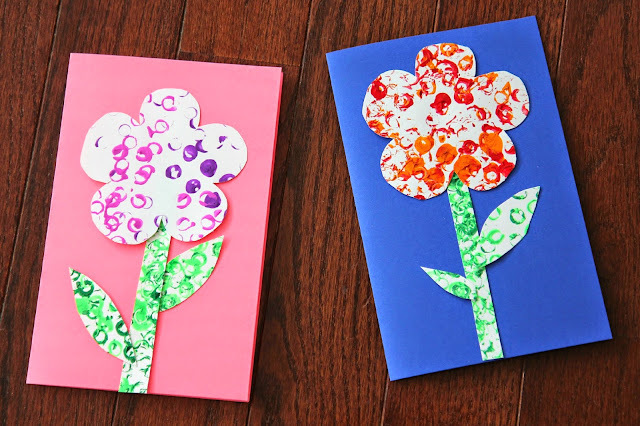 Then cut the colorful papers into flower shapes. 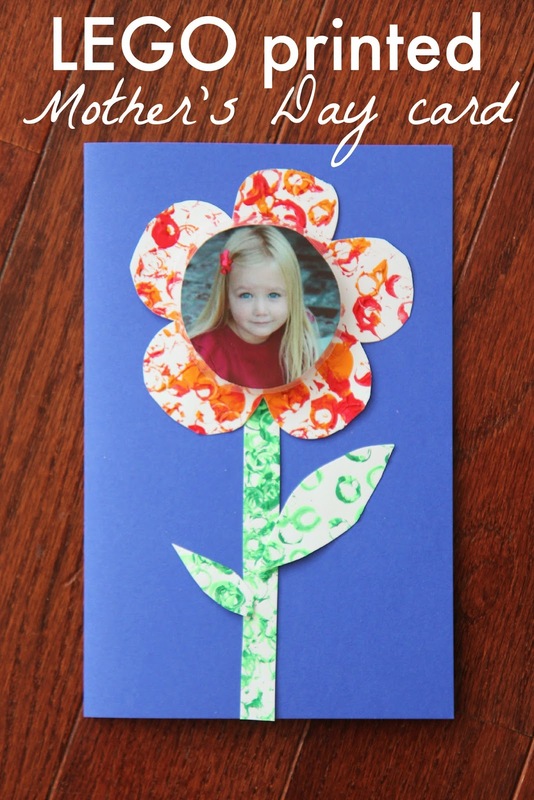 Tape or glue the colorful pieces of paper onto the front of a vibrant folded piece of cardstock. 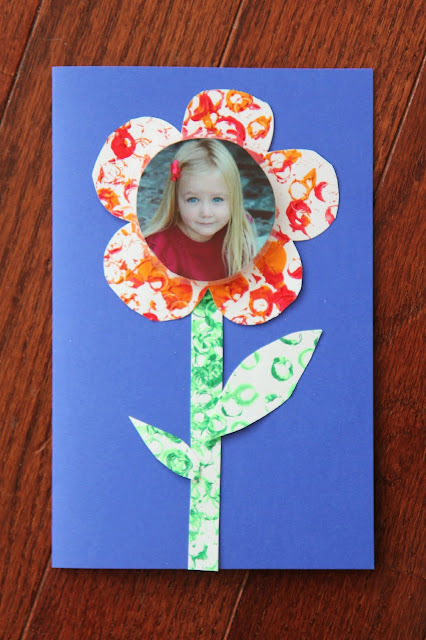 This will create a flower on the front of your Mother's Day card. Cut around the photo of the child to make it a circle. Add a photo of the child to the center of the flower to complete the photo flower! Write a note inside the card and decorate it however you would like and then put it in an envelope to send off to a grandma or another special person in your life! These could also make lovely Father's Day cards as well. Have you ever printed with LEGO before? Have you made any Mother's Day cards yet? Go over to our 2nd Annual LEGO Week landing page if you missed any from Monday or Tuesday!